There are more than a billion people actively posting on Instagram on each month, and there are over a billion photos liked daily. These statistics make it one of the best platforms to start a following or promote a product. 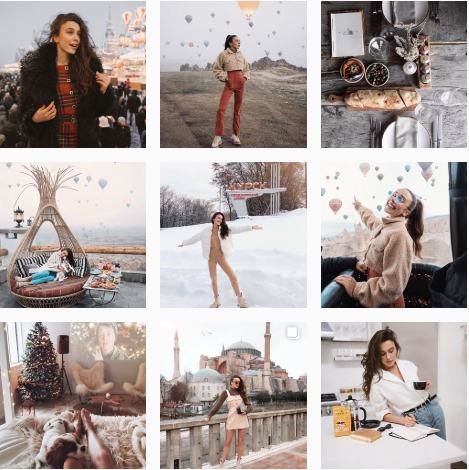 Like any social media, Instagram has its own algorithm and it’s essential to know the tips and tricks in order to get more followers and gain more exposure. 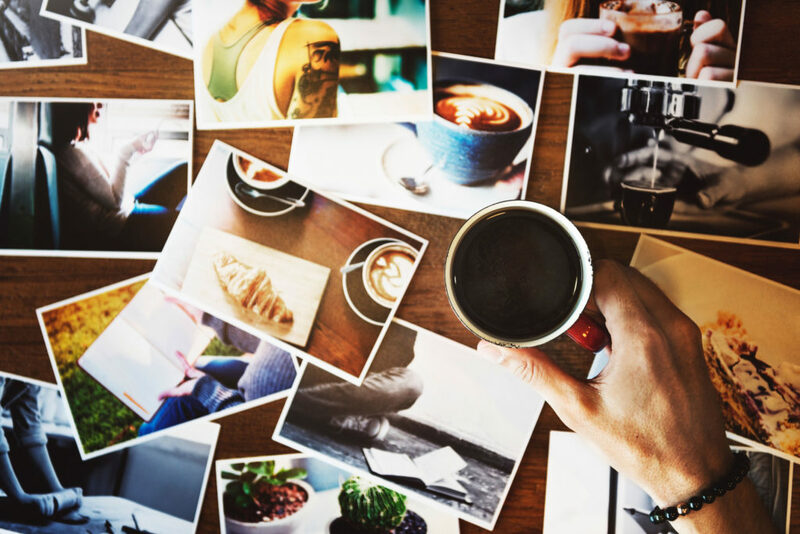 In this article, you’ll find five essential steps that help you plan your Instagram feed, which will increase your chances to build a large follower base. Each of these steps is dissected and discussed in detail. 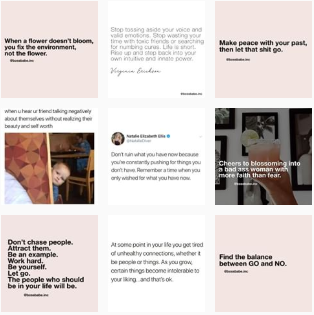 Without further ado, let’s jump into what constitutes a successfully planned Instagram feed. There is a concept that is greater than your content, your Instagram activity, and marketing strategy. It’s called “aesthetics,” an Instagram profile must be aesthetically consistent to be attractive. There are a few things you need to take into account. The entire Internet is competing for the users’ attention by posting eye-pleasing photos and pictures. The competition is ruthless. This is why you need to constantly improve the pictures you’re taking on a daily basis. You can always enroll in a photography course or simply research the topic regularly. Mastering Photoshop or any other high profile image editor is going to be a significant advantage. Proficiency in any graphics editor will let you make the necessary changes in your content, so that it looks appealing to your potential follower, along with creating an attractive cover frame for your video. 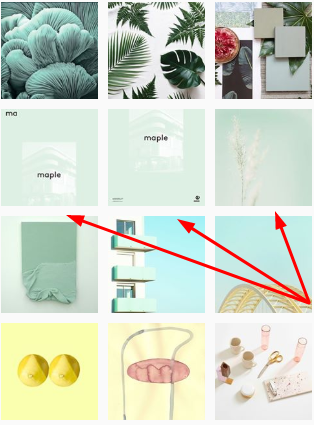 The vast majority of popular accounts on Instagram have a distinct color palette, which intuitively defines what colors can be featured on their grid. This is practiced for several reasons. First off, it’s memorable. Over time, a user that has been following your account for a while will associate a specific color with your brand or persona. Many incredibly successful companies have used color to create a deep connection with their brand. 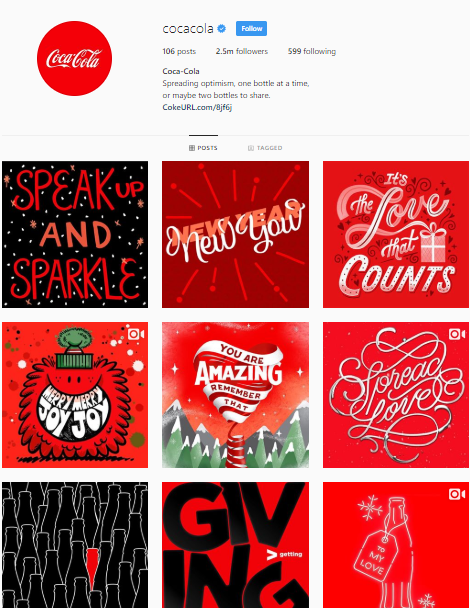 For instance, Coca-Cola, Vodafone, and Target have successfully used the red color to in association with their brand. Furthermore, Orange, the telecommunications corporations *owns* a particular type of orange, which is specific to their brand. Even if you’re not looking forward to starting an actual company or a business, a color palette is worth considering. Your profile represents your brand and your business. Every single post you make should be carefully inspected, analyzed, and thought through. Be creative, but don’t go overboard. You need to remain attractive to your customers or potential followers. Always brainstorm ideas for content, and don’t forget to take notes. It would be best if you actually dedicated a certain amount of time for content creation. If your account is about photography, get out of the house for three days a week and spend a few hours taking pictures. This will ensure a constant flow of content to your account, and your followers will always have something to share, like, and comment. However, don’t forget about curation. No need to flood your followers’ feeds, it’s annoying and can eventually cause people to unsubscribe. It’s great that you’ve had the time to create some raw content, but here comes the tricky part – you need to make it eye-candy. What’s also really important is trying to achieve consistency in the type of tools and tricks you use to retouch your content. There is an essential amount of research that needs to be done regarding when your followers are most active on social media. According to SproutSocial’s post on automation, people of different ages, occupations, and interests have different social media usage patterns. Invest a little time into finding out what time is optimal for your posts to hit their feeds so that you can get maximum likes and comments, and increase visibility. After you’ve found the best time to start posting, you should try uploading your content in that particular time frame. This will ensure that your content gets more exposure and that it will generate more followers. Besides understanding their “feed scrolling” hours, you must also study their interests in maximum detail. Shopify has recently published an article that touches on the importance of carefully researching you customers’ behavior It is imperative that your profile speaks to the users you’re targeting. For instance, imagine that you run an Instagram account that covers, say, “Mindfulness and Meditation.” Research what meditators look forward to? What is their common denominator? What makes them fall into one group? It could be that they are people, who seek a calm state of mind. What other interests might they have? Once you researched this question and found your answers, try translating those answers into your content. Don’t forget that Instagram is powered and governed by an algorithm. Follow your ideal follower. This will help the algorithm “understand” that you are relevant to people like your ideal follower, simply because it links people based on their interests. By doing so, you are gaining exposure, and more people have the chance to learn about you and what you do. 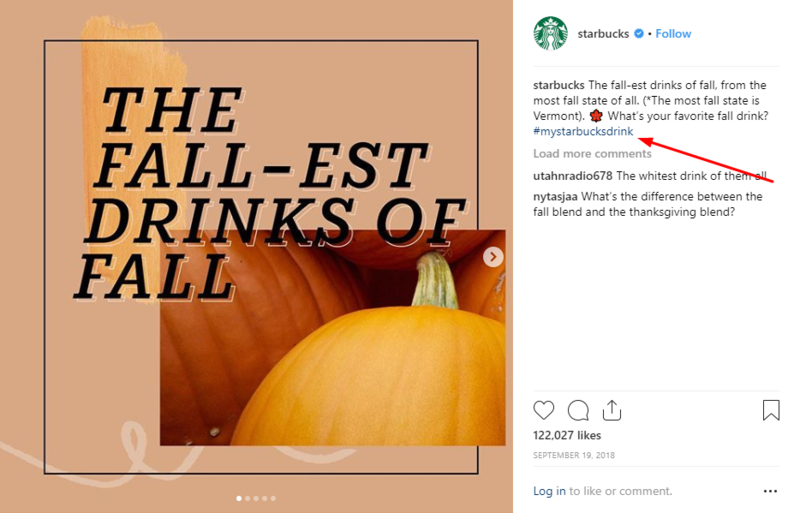 The important thing about the Instagram algorithm seems to be that it favors quality over quantity, and the relevance of the content. So if your content is top-notch, sit back, relax, and slowly expand your Insta-empire. Simply following your ideal follower doesn’t necessarily get the job done. Interact with the people who live in your area, who visit niche places relevant to your profile, and who follow specific hashtags. Research relevant hashtags. Leave some likes and comments under the people’s posts under that hashtag. There are now multiple bots that get the job done, but there has been an impressive body of research showing that Instagram appreciates and promotes “human” behavior. So if you take the time to comment on someone’s picture, try something better than “wow cool.” People appreciate when they’re appreciated, so it’s worth going the extra mile. If you haven’t already check out our guide on how to grow and get famous on Instagram. Instagram is known to be the land of the creative people, so some of them couldn’t handle to post by the rules and approached their profile more excitingly. The mosaic tile feed is a practice when profile owners chop a picture into three, four, six, or nine separate pieces. Next, these separate fractions are uploaded in a specific order, so that this creates a bigger image, that can be observed on a more significant portion of your profile. In the vast majority of times it is applied, this effect looks really great, and it does attract a lot of attention to the image that’s being showcased. The only con to that is that a certain number of chopped-up images will hit your subscribers’ feeds, which might be a bit annoying. Another quite unusual way of structuring your feed is by posting in triplets. This way every post you’re about to make has to come in three separate picture is a very creative approach to profile management and generally makes people scroll your photos for longer. A checkerboard is when every second picture features the same color, while the ones in between them aren’t limited to a particular color. Some oscillate between light and dark. It is crucial to invest time in making your profile look credible, attractive, and trustworthy. You need to think of your account as a whole. There are a few details that will create an immediate impression about your profile. What are those? First, it’s your name. You need a really good name. It has to sound well and be really memorable. You also need a good link. It often creates an impression of the brand. A catchy bio, perhaps. Let people know what you do, and why they should follow you. And last but not least, the first nine images that will motivate new followers that this profile is worth their attention. 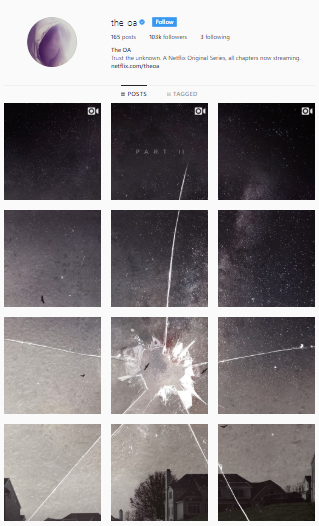 The most important thing that we need to take care of is the concept behind our Instagram profile. Before you start posting, you need to define your color chromatics and the aesthetics of your brand, which you will then have to follow. To do so, it is best to take some time to improve your photography skills. That can be done by going to photography workshops or simply watching courses online. Once that’s out of the way, all you have to do is follow whatever you’ve established as your own style. Don’t forget to explore the possibilities of automation and learn how to schedule your posts better. Once you have sufficient content that has been well edited, and it conforms to your style, it’s essential to study your followers’ behavior.